Why should we visit art museums? Many reasons abound. Museums inspire us, educate us, challenge us and unite us with our community. The Art Museum of Myrtle Beach brings this wealth of possibility to all who visit. We are working to make our Museum better and better. Most visibly, we’re making much-needed improvements to our exhibit spaces. With grants from The Chapin Foundation and the Jackson Family, we have recently installed new flooring throughout the building. And in May we will have new exhibit walls. These upgrades should be complete by the opening of this year’s summer exhibit. We welcome our new Museum Board of Trustees members Anna Brittain Bratton, Charles Brodhead and Steve Carter. Each brings diverse gifts and talents to our Museum, and we are grateful for their energy and commitment. Anna will focus on exhibitions and programming, Charles will work on long-range planning and Steve will focus on fundraising. We are especially proud to announce this year’s summer exhibition, Can’t You Sea? | Ocean Plastic ARTifacts. We call it “Five Artists Who Create Art with an Impact.” These gifted contemporary artists have created an amazing variety of two- and three-dimensional artworks and installations using up-cycled plastic waste “rescued” from our oceans and beaches – all with the goal of drawing attention to a critical, global environmental problem: plastic ocean pollution. We invite you to visit the Art Museum throughout the year. We offer exhibits, lectures, pottery classes, kid’s art, road trips, community family days and fundraising events. Most recently the 8th Annual Collector’s Event — always electric with excitement and anticipation — delighted a sellout crowd. We thank PNC Wealth Management for their sponsorship and all who made this such a great fundraiser. Please check our calendar and come join us. While we hope you take advantage of our many offerings, we also invite you to join our membership. We are a free-admission, non-profit museum — only because of our many dedicated sponsors, contributors and members. We’d be delighted to add you to that list. And thank you, City of Myrtle Beach, for all of your support through the years. 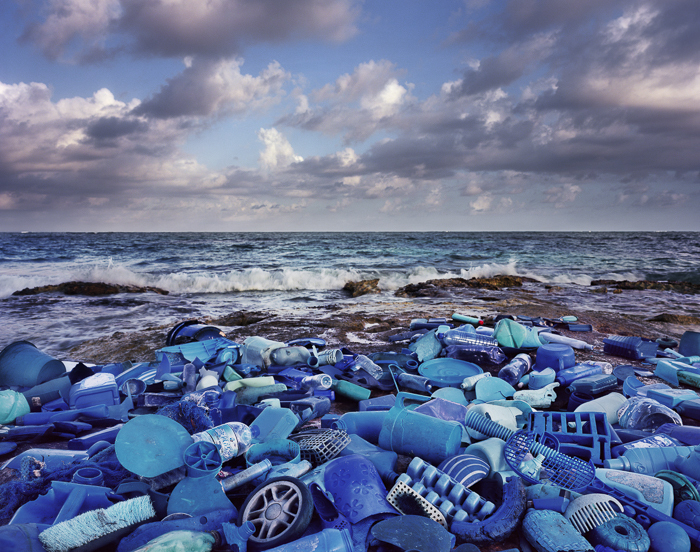 Image: Alejandro Duran, Mar (Sea) , 2013, found plastic. It’s been an exciting new year at our Art Museum. 2019 — our 22nd year — started with the completion of our new flooring project. Thanks to grants from The Chapin Foundation and the Jackson Family, we’ve installed new flooring in all of our Museum galleries as well as in the hallways, in the Museum Shop and in the Simeon B. Chapin Library. New flooring provides the landscape for four exhibitions: two by women artists who call the Carolinas home and two featuring works from the Museum’s Permanent Collections. Kate Hooray Osmond, a painter and installationist based in Charleston, is featured in an exhibition called Light Shine Down. Her works, many of them large-scale, are architectural, even industrial in style, but with a surprise: they’re crafted in oils touched with gold leaf. Often they feature aerial views of cities or landscapes she experienced flying in a helicopter, which she has done for more than a decade. The Scape of Water is a Museum Permanent Collection exhibition of works that portray water in a diverse array of media and styles, from hyper-realism to abstraction, rendered in paint, graphite and paper collage or sculpted in stone; and in a variety of perspectives, including aerial or atmospheric, linear and birds-eye view. And Collection Connections: A Visual Exploration of Southern Heritage fills our second floor galleries. We cannot always feature works from these rich collections but we enjoy doing so when we can. You’ll have the opportunity to see Time + Terrain, Light Shine Down and The Scape of Water through April 28 th . Collection Connections will close on April 14 th . The days are ticking down, but there’s still time to buy tickets to the 19th Annual Spring Tour of Homes, which is this coming Saturday. Call the Museum, 843-238-2510, for tickets and to make reservations for the tour-day luncheon. One hundred lucky folks enjoyed our 8th Annual Collectors Event on February 24, when they got to take home some fabulous original artworks by artists from near and far. We express our thanks to Tommy Davis and Michael Craig Smith, owners of Collector’s Cafe, to the artists who donated their work and to PNC Wealth Management, our Event Sponsor. Following in our 16-year tradition of creating a summer exhibition at the Art Museum that gets everyone talking and anticipating, this year we presentCan’t You Sea? | Ocean Plastic ARTifacts, an exhibition we hope will help to spotlight the global crisis that is ocean plastic pollution. We are hoping that you will join us in some exhibition prep. Two opportunities include collecting and bringing your plastic recycling to the Art Museum and also having your teens help us to create our lobby display. Please see more details in this newsletter. Looking ahead, it’s not too early to be thinking about our annual Horry-Georgetown County High Schools Juried Art Exhibition, now entering its 20th year; and in May, the 22nd Annual Waccamaw Arts & Crafts Guild Juried Art Exhibition. With so much to look forward to, it’s a great time to be part of our Art Museum family. Just to brag a little: in 2018, the Art Museum reached over 5,300 youth through art education programming! Among the highlights of our KidsArt programs this past fall was a visit from artist Sherry Strickland Martin, who taught the Teen Art Program and the Saturday Adventures class for 8- to 12-year-olds. 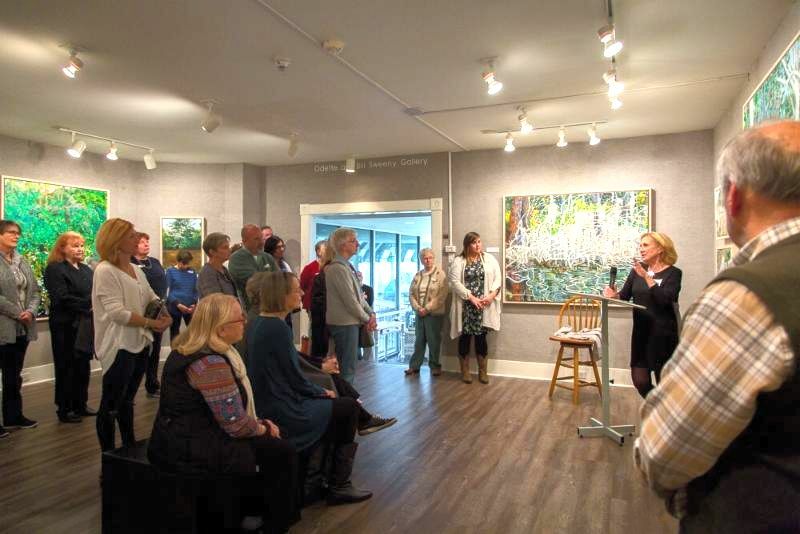 She demonstrated various watercolor techniques after giving them a tour them through her exhibition,Roots Run Deep . Our second guest artist was photographer Easton Selby, whose exhibition RootWork was recently featured at the Museum. The artist led the Teen Art Program in turning our second-floor studio into a pinhole camera. The students then used pinhole cameras they made from paint cans to create their own photos, which they developed in an improvised darkroom in the studio. Just last month, the Teen Art Program learned the origins of street art and yarn bombing from guest artist Barbara Streeter — and then yarn-bombed a tree in front of the Museum! It’s still up and will be for (hopefully) at least a year. The Art Museum now brings art classes to the Boys and Girls Club of the Grand Strand. Three- and four-year-olds participating in the Early Art Education Program got to create paintings, 3D art work, suncatchers and mixed-media art work. Their projects were inspired by various children’s books, including The Snowy Day by Ezra Jack Keats and How to Catch a Star by Oliver Jeffers. 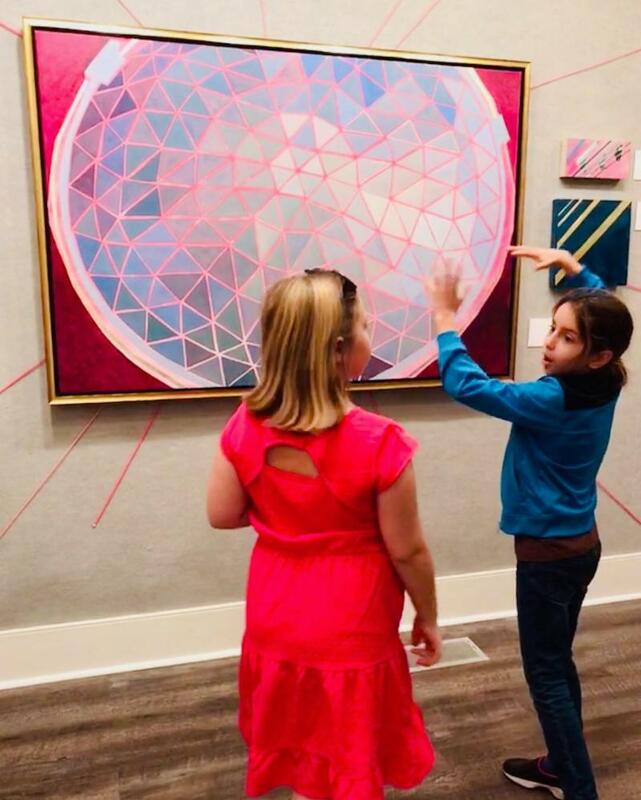 In a new collaboration between the Art Museum and the Chapin Library this year, we’ll be bringing art education each month to the library for ages 6-12. Class will be held every fourth Thursday from 4:30-5:30. To register, contact the Chapin Library at 843-918-1275. And another milestone for our Museum: thanks to generous funding from the Bunnelle Foundation, the Art Museum was able to expand our free art education outreach efforts to the Georgetown YMCA and the Georgetown Library. We are proud of all that we are able to do for the youth of our community! 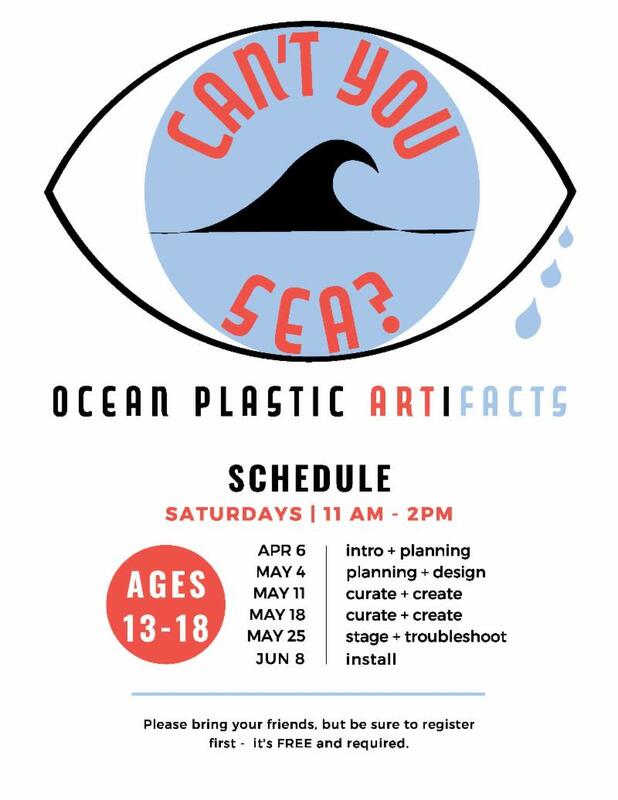 Meanwhile, we are calling on area teens who are interested in helping us design art displays for our lobby for our summer exhibition, Can’t You Sea? | Ocean Plastic Artifacts . The program is free. For more information, contact Education Coordinator Tracey Roode. We’ve had a very successful first year at the Lineta Pritchard Pottery Studio, and have brought in many new people to the Art Museum — not to mention lots of new members! In addition to a variety of classes, we are continuing a monthly Art Therapy session with the Horry County Disabilities and Special Needs Organization in the new year. And we are introducing a second monthly Art Therapy session for veterans. Another new program we’ve introduced in the new year in the Pottery Studio is called “Mudstruck” (Date Night), which we’re holding one Friday per month from 7– 9 p.m. Participants can sign up to enjoy a demonstration on the wheel and then an opportunity to give it a try with guidance from an instructor — all while enjoying BYO Beverages (beer or wine only). Talk about a creative way to socialize! And our latest big news: We’ve just installed a brand new, second kiln, which was generously donated by students Nancy Pheil and Lori Rotz. They enjoyed their classes so much they wanted to give us the opportunity to expand, so that all the students could work more efficiently. Thanks so much, Nancy and Lori! Things are definitely cranking up in our Pottery Studio! For the home we’ll have the adorable felt birdhouses known as, “Wild Woolies.” These unique designs will brighten up any outdoor space and are sized for small backyard birds like chickadees and wrens. What a fun way to welcome your feathered friends into your backyard or front porch! And speaking of birds, don’t miss the always delightful artwork of Charley Harper, featured in note cards, puzzles and beautiful tiles. 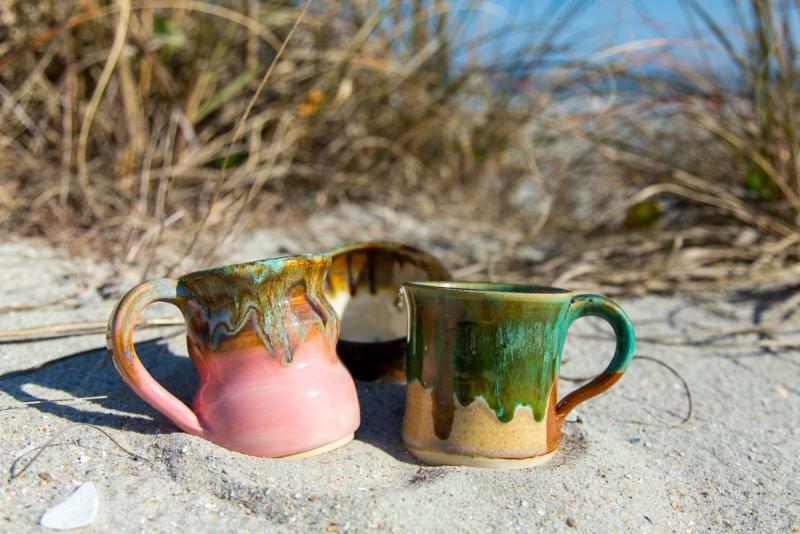 You’ll also enjoy some of the creations coming from our Pottery Studio as well as from other potters from around the Carolinas. With a range of items from berry bowls and soup mugs to porcelain magnets and bud vases, you’re sure to find something special from this delightful selection. And you won’t want to forget about the sunny months of summer when we’ll add more unique items in celebration of our exhibit Can’t You Sea? | Ocean Plastic ARTifacts. This unique and thought-provoking exhibition offers a striking look at one of our planet’s most serious environmental problems: plastic pollution in our oceans. 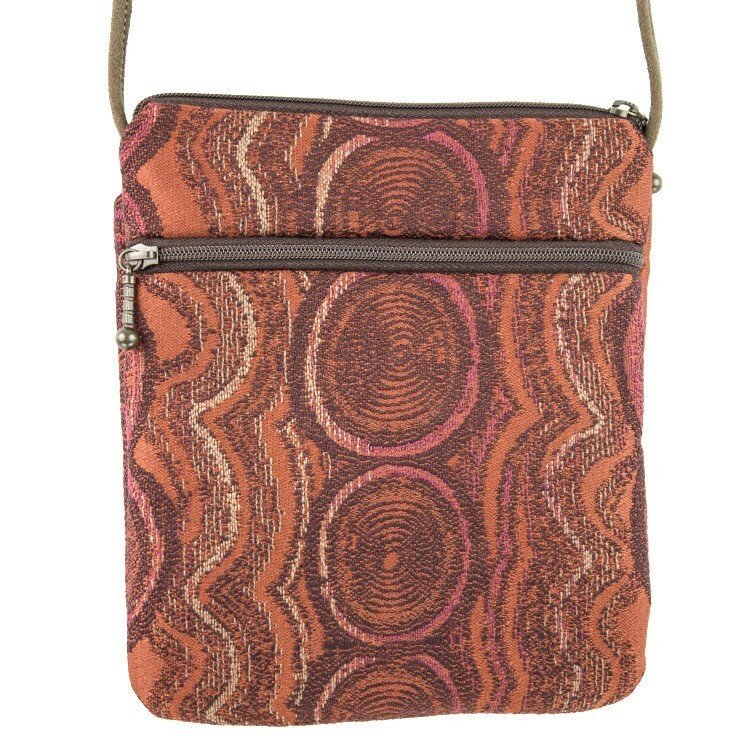 We are excited to join this important cause as we learn to live — and shop — plastic-free. 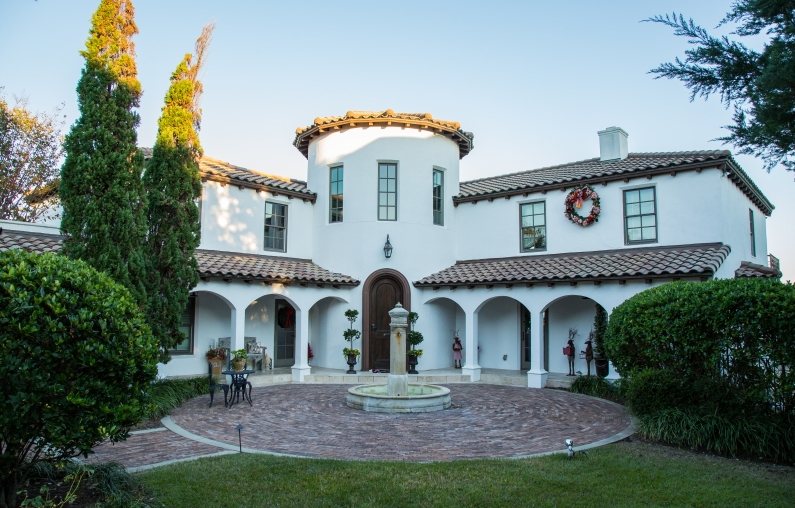 It’s not too late to purchase tickets for this year’s Tour of Homes, which is Saturday, from 10 a.m. to 4 p.m. As always, the tour promises inside views of some of the area’s most unique and stylish homes. This year’s five choices range from vintage (but lavishly updated) to brand-spanking new, and the homes are furnished with everything from treasured antiques to high-tech novelties. Tickets, $50, may be purchased from the Art Museum by calling 843-238-2510. Prices rise to $55 on Tour day. As always, a luncheon buffet is being held at the Dunes Golf and Beach Club, 9000 N. Ocean Blvd., from 11:30 a.m – 3 p.m., for tourgoers only. Tickets are $22 per person and reservations are required; call the Art Museum to reserve. Many thanks to our generous Home Owners as well as our Presenting Sponsor Addy’s Harbor Dodge and Luncheon Sponsor South Atlantic Bank. Thanks also to Supporting Sponsors B. Graham Interiors, Grand Strand Health, The Mattingly-Yates Group of Merrill Lynch, and United Roofing Contractors; as well as Media Sponsors Easy105.9/100.7, Grand Strand Magazine and WBTW News 13. 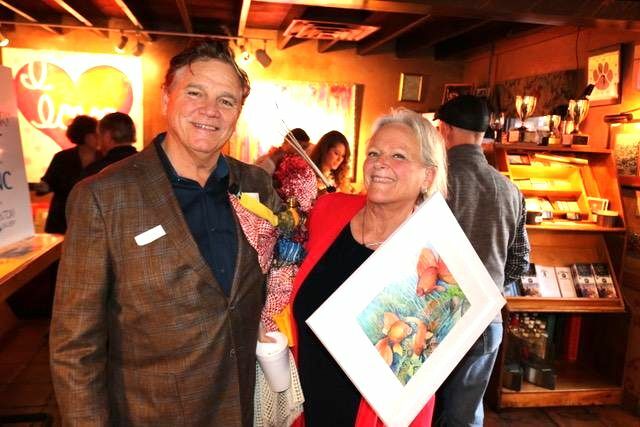 One hundred lucky ticket holders got to take home an original work of art at this year’s Collectors’ Event, February 24 th , at Collectors Cafe — while enjoying delicious hors d’oeuvres and desserts from the Cafe. As always, the evening was a fun and fast-paced happening for the attendees. We want to express our gratitude, first, to the wonderful artists who donated their work for the event. We also thank PNC Wealth Management, our Event Sponsor, and owners Tommy Davis and Michael Craig Smith for hosting the event in their lovely facility. And we offer special thanks to Matt Sedota, our wonderful emcee — for the eighth time! Thanks, Matt! But mostly we want to thank our artists – donating from near and far. The Collectors’ Event wouldn’t be possible without them. Thanks, too, to our many event volunteers and Board members Grace Sandoz, Tommy Davis and William H. Miller for helping organize such a fabulous event that benefits the Art Museum’s exhibitions and programs. In preparation for our summer exhibition Can’t You Sea? 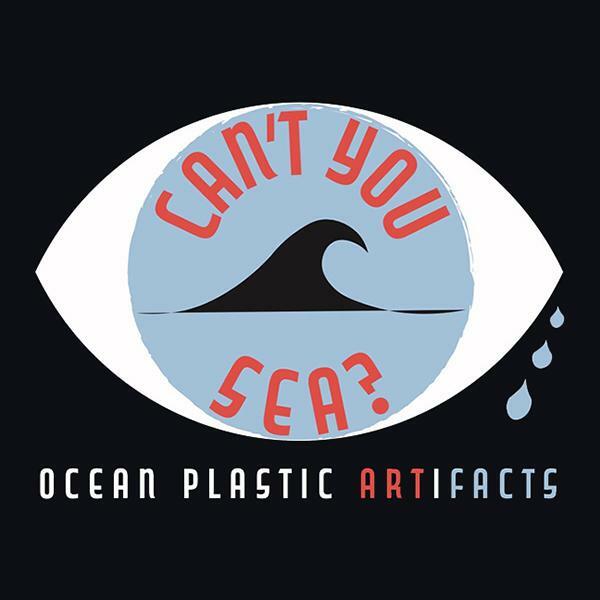 | Ocean Plastic ARTifacts , we are asking for your help. Be one of the first 50 people to come to the Art Museum and ask for a reusable tote (one tote per person), yours to keep. Using your tote, help us clean up our area by collecting plastic from our beaches and rivers. Drop off your findings at the Museum on Saturday, March 16 from 11am – 2pm (the more colorful and clean, the better!). To see what we do with your plastic, make sure to visit our summer exhibit (June 13 – Sept 8). Connect with us by tagging a selfie with your tote full of plastic using our designated hashtags! We are calling for area teens to bring our lobby to life for our summer exhibit, Can’t You Sea? | Ocean Plastic ARTifacts . 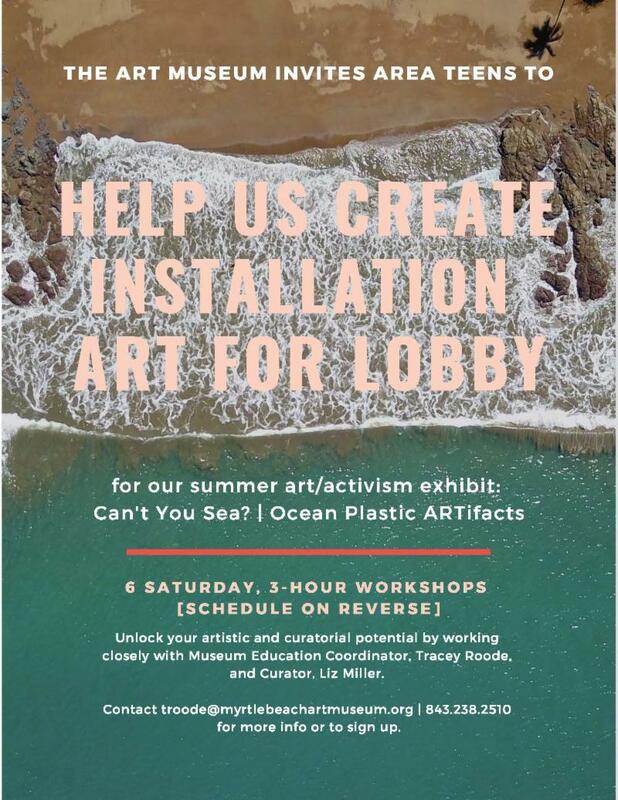 Using plastic found around the area by our community, participants will work closely with Education Coordinator, Tracey Roode, and Museum Curator, Liz Miller, to design and create an installation that will fill the Museum lobby. These sessions will allow teens to learn about environmental awareness while growing a strong sense of innovative, curatorial decision-making skills. All sessions are free and we encourage everyone to bring friends! Contact troode@myrtlebeachartmuseum.org for more information and registration. Together we can make a difference by turning trash into artistic treasure.